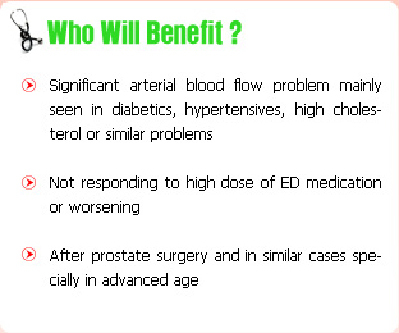 ESWT is a revolutionary treatment of ED, and possesses unprecedented qualities that can rehabilitate erectile tissue.This is an appealing addition to the armamentarium of existing treatment options for ED because of its ability to improve and potentially restore erectile function by reinstating penile blood flow in men with ED without additional pharmacotherapy. a rapid, standard and cost effective outpatient therapy, that can be used as often as required without any side-effects. ED shockwave therapy involves low-intensity shockwaves, similar to ultrasound waves, which are focused onto the treatment area, stimulating the treated tissues to grow new micro blood vessels. Research suggests that the improved micro vessel network increases the blood supply to the erectile tissue, resulting in improved erection quality. What does the treatment involve? A thorough assessment of the patient, including physical examinations, screening and counselling, will be required prior to treatment If the patient is felt to be suitable, an out-patient treatment 6 to 8 sittings over 4 tweeks. 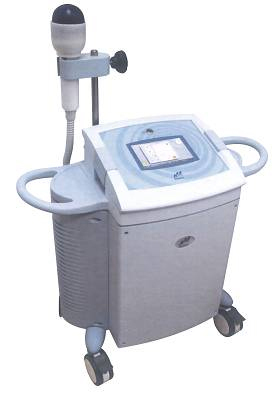 It is an evolution of Lithotripsy which was primarily used for kidney stone treatment. 4. The treatment protocol will be 6 to 8 sittings over 4 tweeks. EDSWL is a non-invasive and entirely pain-free treatment that does not require any additional medication. A gentle tapping sensation may be felt during the treatment. To date there are no reported side-effects during or after the treatment and the treatment is considered to be safe. Patients are able to return to their daily routines immediately following each treatment session. How is shockwave therapy different from other ED treatments? All current available treatment modalities for ED are basically 'on-demand' therapies and their mechanism of action is to improve a single sexual encounter with the risk o bear the probable side effects and incurring expenses. Shockwave therapy is a non-invasive, non-pharmacological therapy which aims to trigger a natural mechanism that improves penile blood flow and may allow restoration of penile function and sexual spontaneity without need for ongoing treatment. 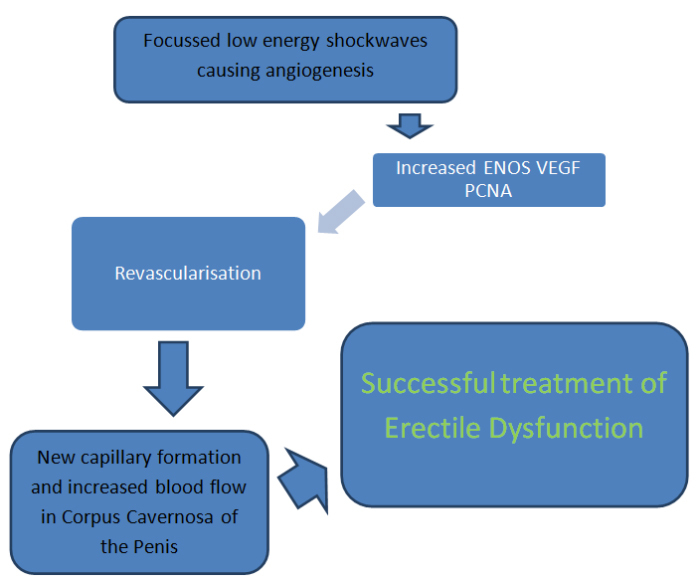 Erectile Dysfunction may be totally cured Erections may improve in terms of grading from lower grade to higher grade May significantly delay the progress of worsening of the erection stopped It is important to note this modality has been introduced very recently and the response as far recorded is around 70 to 80%. However it is important to note that this may not guarantee a cure of the problem. Along with this treatment additional measures of medication, changes in lifestyle and control of associated diseases may be advised by your doctor.